Exterior: Wash, two stages of buffing (as needed), wax, clean and dress tires, clean engine. It’s a great feeling to park a shiny, sleek car in your driveway or designated parking spot and earn the envy and respect of those around you. But when you drive a car, truck or SUV for many miles and in varying weather conditions, your ride will start to lose its luster. Wear, tear, wind and rain will damage your vehicle inside and out, as will dents and dings caused by other drivers or young kids. Restore your prized vehicle with the detailing services at our car reconditioning center in Maine and it will soon look as good as new! 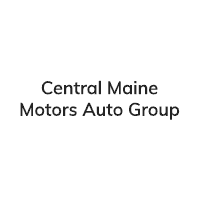 Check out the list of detailing services we offer below, and then visit the Central Maine Motors Auto Group dealerships today.